Throughout Finnish elementary school 150-year-history, school craft has served the teaching needs of societal, educational, new craft techniques, tools and materials in every school. This article studies memories associated with school craft throughout three consecutive generations. The focus is particularly on what kind of memories associated with school craft the representatives of different generations have, and how they are related. Five families, with representatives from three different generations (15 persons in total), were interviewed in group-interviews in 2014. The interviews took place as an encountering act of recollection between different generations where the circumstances of teaching handicraft, pupils and teachers as well as handicraft products and the process behind them were evaluated and interpreted in a group. 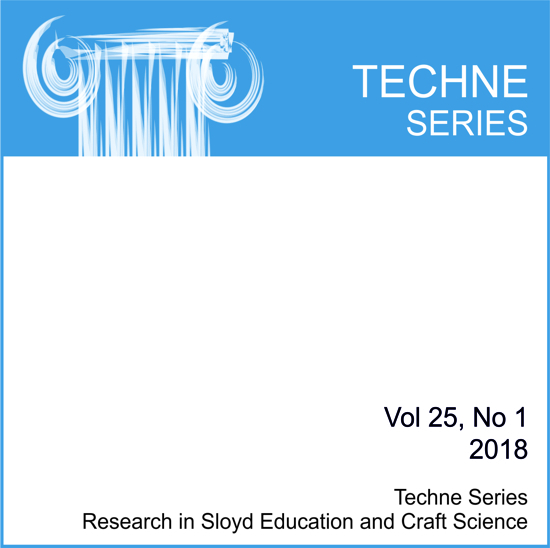 The persons interviewed for this research mainly represent the industrialized era when the focus of craft teaching at school shifted into untraditional skills needed in the industry and hobbies. Two themes stood especially out from the data analysis: products manufactured in school craft and positive and negative memories associated with handicraft. There were not that much conversation regarding the materials or techniques used in manufacturing handicraft products. Although the oldest memories were associated with the lack of materials.